We hope everyone enjoyed their Thanksgiving Holiday! Now, we can officially begin decorating for the holiday season! 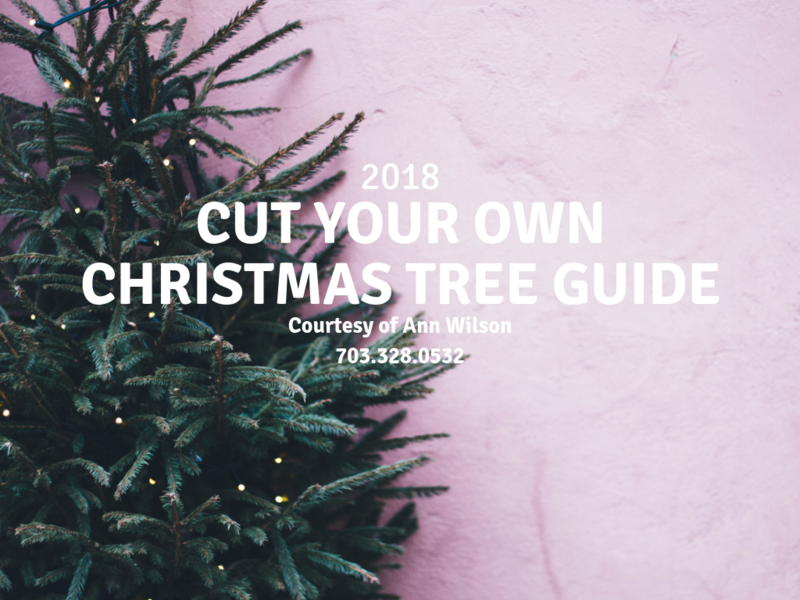 If you are anything like us, you love a live Christmas tree so we decided to put together a list of the best places to find a ‘cut your own’ Christmas tree in Northern Virginia. Many of these farms also have other decorations for sale, Santa appearances, hot chocolate and cider, and much more to enjoy the season. Clark’s Farm – Both ‘cut-your-own’ and pre-cut Christmas trees available, wreaths, boughs, garlands, mistletoe and more decorations available. They also offer trees tied, trees baled, tree trimmings, free hot cider and more. Chilly Hollow Christmas Tree Farm – Both ‘cut you own’ Christmas trees (saws provided) & ‘you choose, we cut’ trees available, trees bagged & tied, free hot chocolate & cider. Maple Syrup from trees on the farm, concessions & refreshment stand also for sale. Open: Thanksgiving week through Christmas (Fri & Sat, 9am-5pm; Sun 11am-5 pm), select and reserve your tree early by contacting us for appointment. Moose Apple Christmas Tree Farm – Cut Your Own Christmas trees, Living Christmas trees (to plant later), wreaths, boughs, garlands, decorations, tree shaking & baling provided, saws provided & gift shop available. Arboria Christmas Tree Farm – Cut your own Christmas trees available. Open: Weekends in December or by appointment. Hartland Farm – Hank’s Christmas Trees – Minimizes chemical and pesticide use. Both cut your own & pre-cut Christmas trees available as well as Christmas wreaths, garlands, and other decorations, trees tied, trees baled, saws provided, free hot chocolate. Also available – honey from hives on the farm. Open: Everyday from November 23-December 23 from 10am to 5pm. Belmont Christmas Tree Farm – Go directly to their farm to cut-your-own Christmas tree in Spotsylvania or pick a pre-cut Christmas trees at their lot in Fredericksburg. Wreaths and other decorations also sold. Cash and checks only. Some pre-cut tree options that are closer to Arlington include the following farms. In addition to their pre-cut trees, they also have wreaths and other decorations, gift shops, Santa appearances and more. The Cedar Forest Christmas Tree Lot – Pre-cut Christmas trees, mistletoe, wreaths available for sale. Services offered include wrapping, a gift shop, tree shaking to remove loose needles and cutting service. Open: The Friday after Thanksgiving to December 24; 10 am to 10 pm daily. Cox Farms – Pre-cut Christmas trees, Christmas wreaths, Christmas boughs, garlands, mistletoe, Santa appearances, Christmas decorations, trees tied, tree shaking provided, trees baled, free tree trimmings, bonfires and smores. 15621 Braddock Road, Centreville, VA 20120. Whitehall Farms – Uses natural growing practices – pre-cut Christmas trees, wreaths, boughs and garlands available for sale, Santa appearances, tree tying, baling & shaking provided, winter wagon rides, bonfires, free hot chocolate & cider, fresh eggs, farm market and gift shop.